Deutsche Bank has launched Yunar, a wholly-owned subsidiary startup that is taking a loyalty-first approach to building out a fully featured mobile wallet by initially offering a simple way to manage up to 200 loyalty points schemes — and then gradually adding a range of mobile payments and banking services as adoption takes off. Yunar has been set up with its own management, its own team, its own IT and an initial staff of around 80 people. The aim, the bank says, is to create a structure that will enable Yunar to swiftly launch innovative digital services that go beyond its parent’s traditional banking business. “Fresh ideas that make life easier for banking clients will be implemented faster in future,” Markus Pertlwieser, head of Deutsche Bank’s digital ventures business, explains. Yunar is currently available “to an initially limited number of users” with a full rollout planned for Q1 2019. “The basic version of Yunar will enable users to manage their customer loyalty cards on their mobile phone. The app allows users to collect points for up to 200 loyalty schemes that are widely used in Germany, including Payback, DeutschlandCard, BahnBonus, Miles & More, Ikea, Douglas and Karstadt,” the bank says. 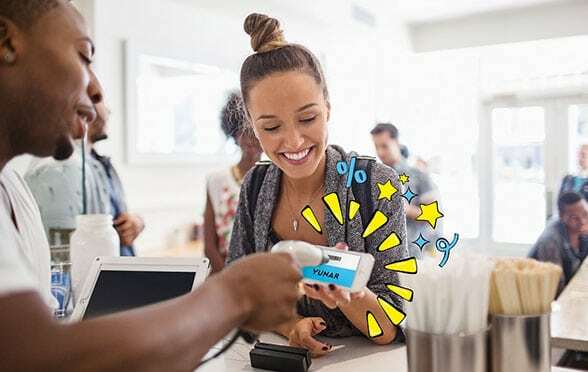 “For some of the schemes, the app will also be able to show previously collected points, which means users will no longer need to use their physical loyalty cards. Yunar will therefore satisfy the key criteria of the platform economy from the very beginning: It is free, available everywhere and relevant to users’ daily lives.